Expired 1y ago . Last validated 1y ago . Used 48 times. 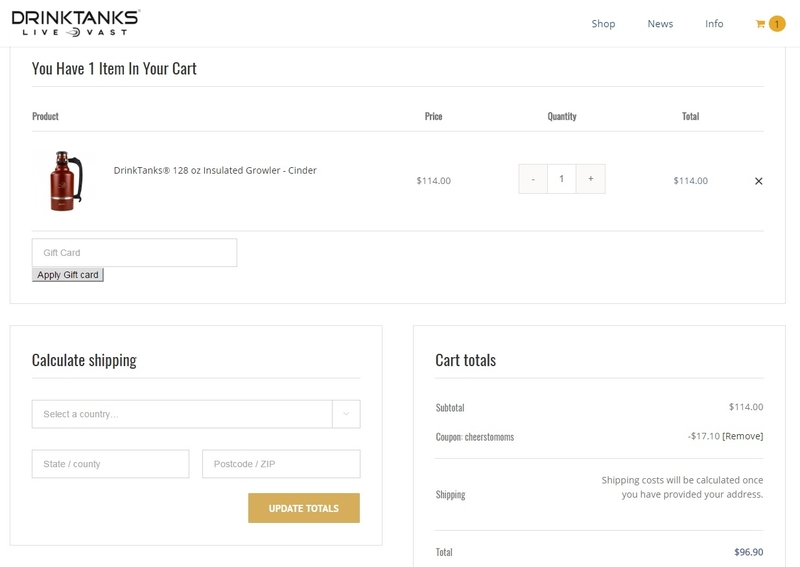 J.J Bello Paste the coupon code at your cart and take 15% Off Your Order at DrinkTanks, this is a limited offer, coupon code is not redeemable for cash. Angie Bailey Apply the promo code "cheerstomoms" at checkout at DrinkTanks to receive 15% off of your until through May 20, 2017.